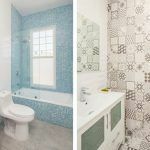 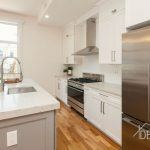 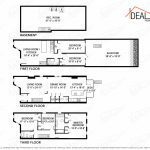 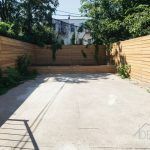 The three-story property is divided into two apartments: an upper duplex with three bedrooms and a two-bedroom duplex on the garden level (the income-producing rental) that has a large finished recreation room in the basement. 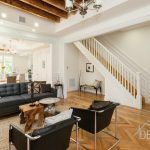 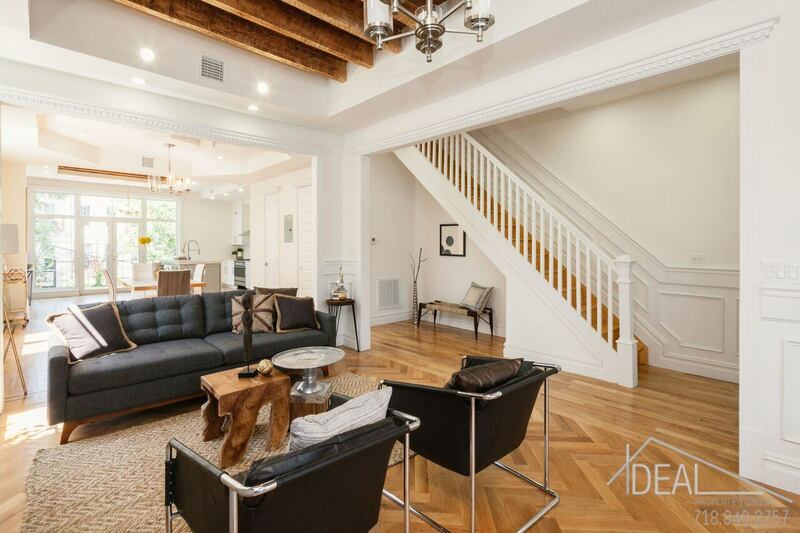 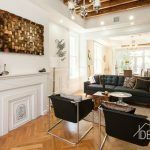 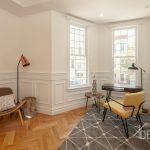 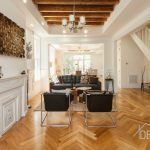 The upper duplex features an open floor plan, with the parlor floor boasting high ceilings, exposed beamed ceilings, the original fireplace mantle, wainscoting and hardwood oak herringbone floors. 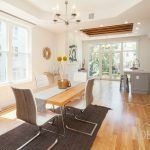 The dining room has its own formal space, with the same high ceilings, hardwood oak floors with mahogany trimming, and its own powder room. 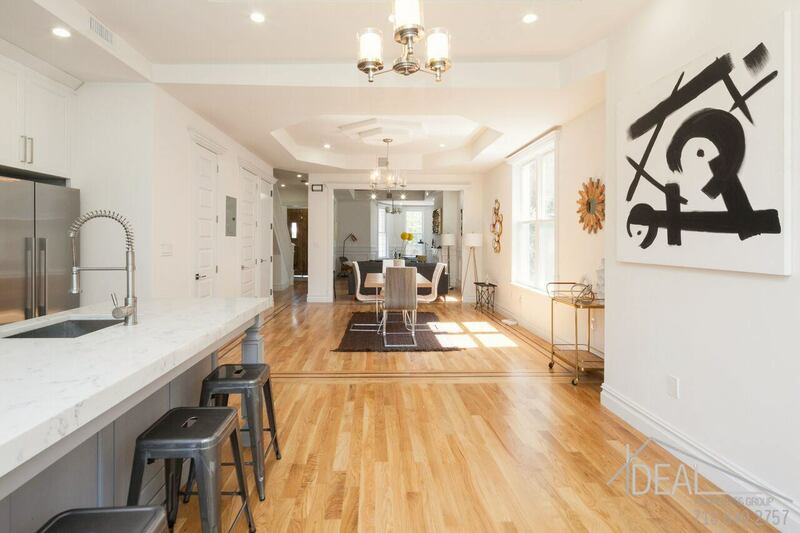 Just off the dining room, also on the parlor floor, is the open kitchen. 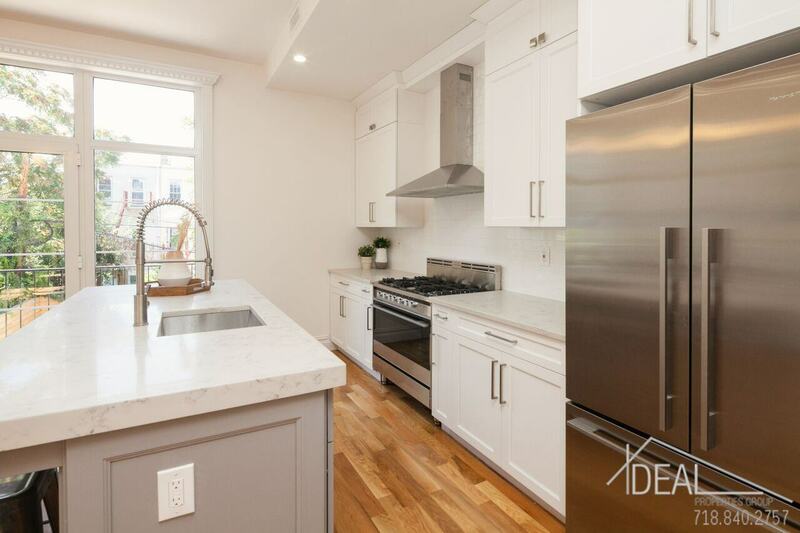 Totally modern, it’s got a three-inch-thick Carrara marble island and Carrara marble counters. 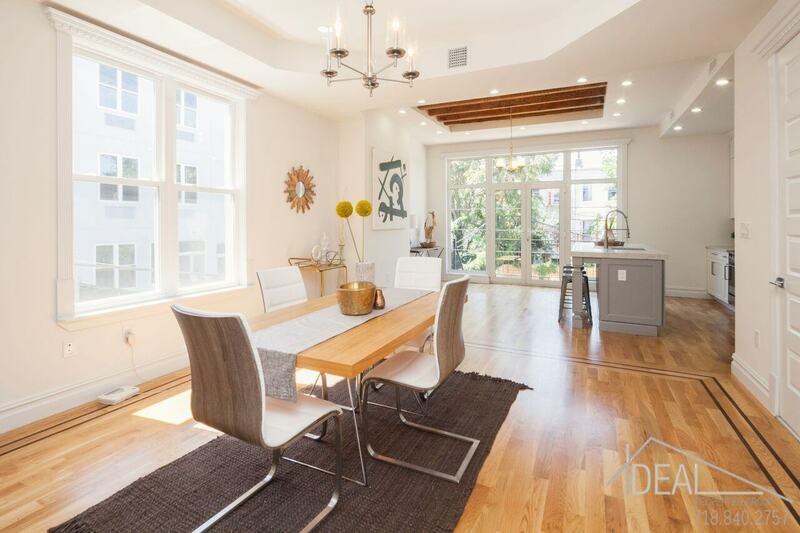 It’s bright due to the floor-to-ceiling windows and glass door that leads to a lovely deck above the backyard. 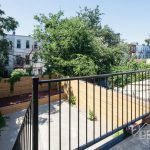 Here’s a look at the deck and paved patio below, which could benefit from a green thumb owner. 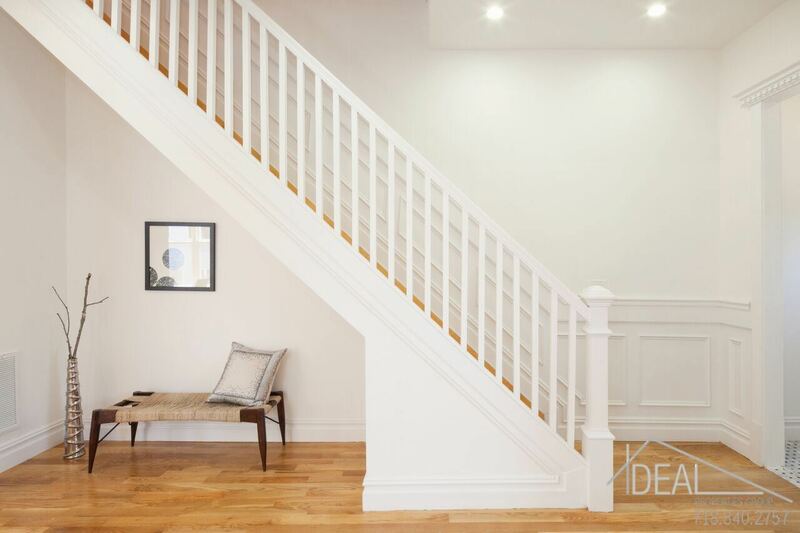 This open staircase on the parlor floor manages to look both modern and contextual to details like wainscoting. 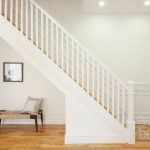 It leads to the bedrooms on the upper floor of the owner’s duplex. 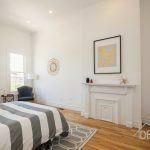 The master suite, which has three large window that face the backyard, has two large closets, a decorative fireplace and a master bathroom with a double vanity and two rain showers. 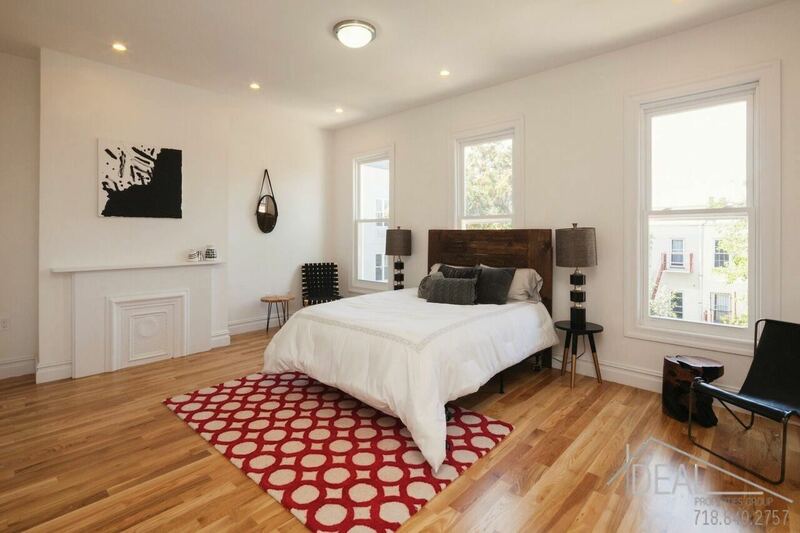 The soaking tub in the bathroom is right next to a window that also looks down upon the backyard. 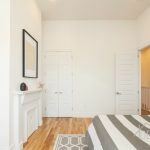 Two other bedrooms on this floor have large closets, 12-foot ceilings and a decorative fireplace. 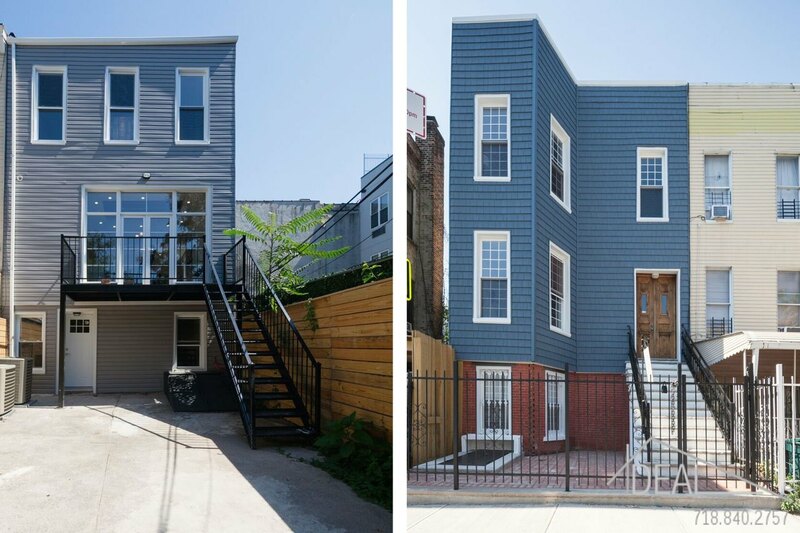 You can see that the facade of the home was spruced up in the renovation, too. 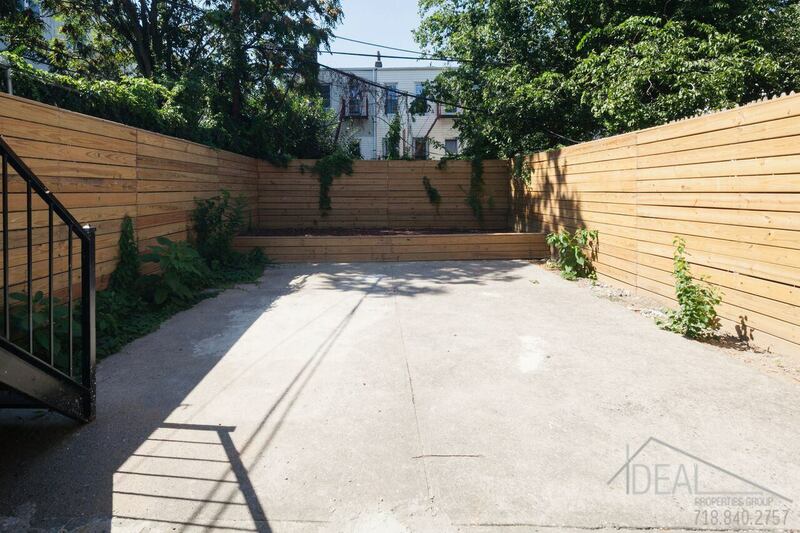 Who would have though that fancy interior came with this bright blue exterior? 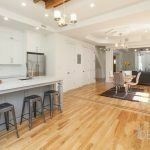 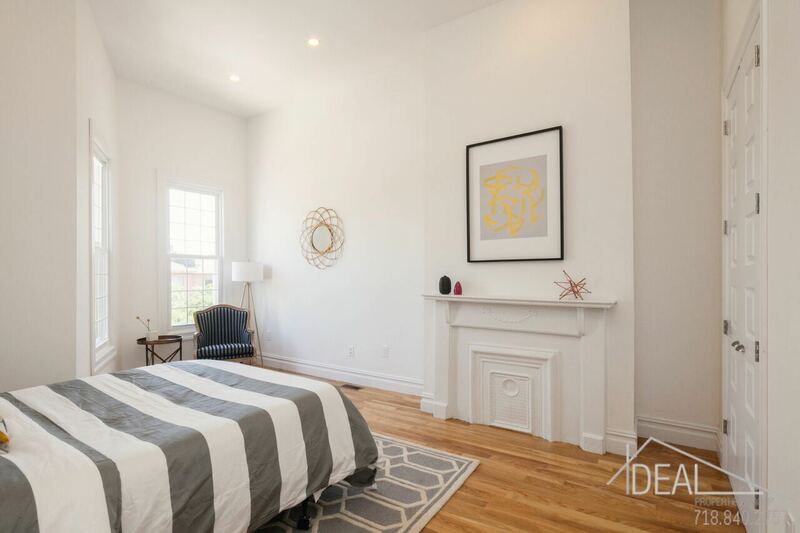 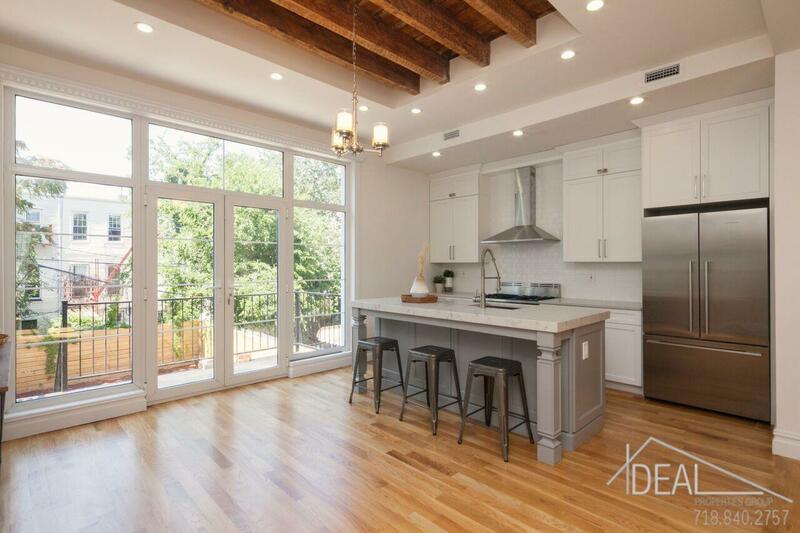 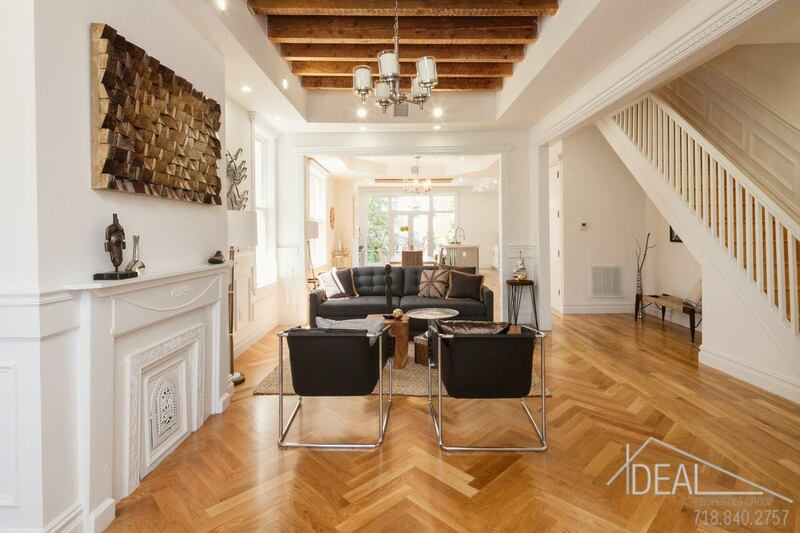 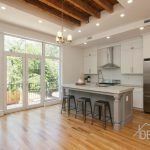 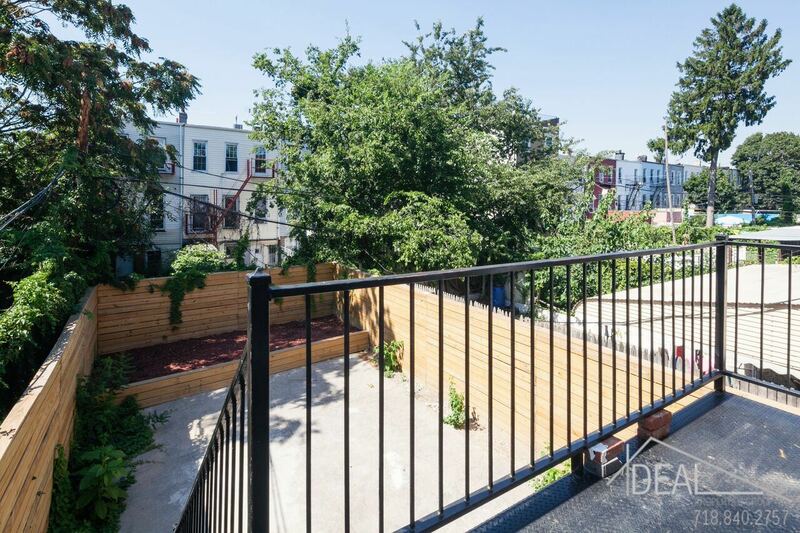 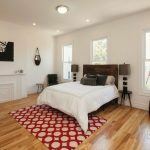 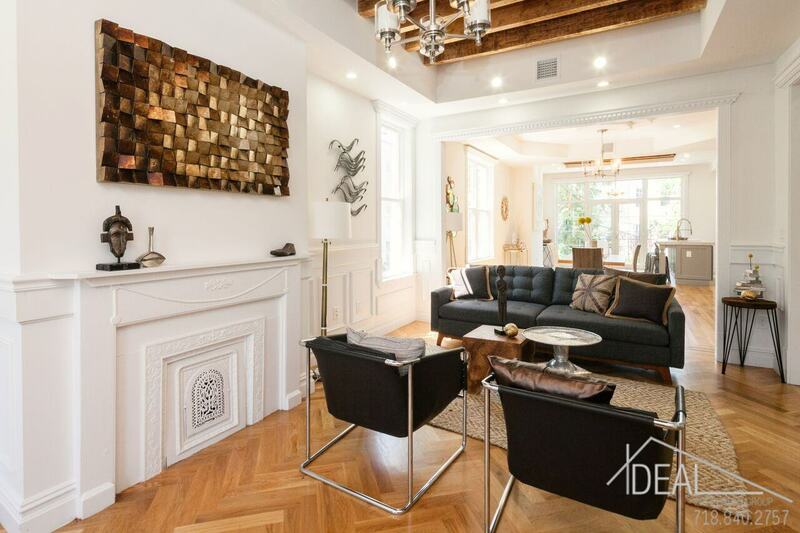 The property is located pretty deep into Bushwick, off the Wilson Avenue L train stop. 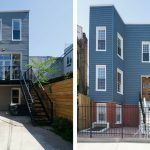 Wilson Avenue, just a half block away, is a drag that’s getting a smattering of new bars and restaurants.